CLEVELAND — We know the Astros are one of the most forward-thinking, analytically minded organizations in baseball. They’ve led baseball in infield shift usage in recent seasons. They’ve experimented with piggy-back rotations in the minor leagues, they’ve been creative in maximizing draft pools, and have given us a revolutionary bullpen figure, the gift that is Chris Devenski. They’ve also been as aggressive as any team I’ve observed with regard to outfield alignment. Outfield alignment doesn’t receive as much attention as infield shifts. There are few, if any, outfield alignment measures publicly available, and we don’t often see outfield alignments in full scope on television broadcasts prior to a batted ball. Average depth is recorded by Statcast, but we’re still working on understanding optimum outfield positioning. But the Astros are up to something — something which I first noticed last season at PNC Park. Since air balls are more evenly distributed than ground balls, there are typically fewer radical defensive alignments in the outfield. Since there are only three fielders tasked with covering a much larger area of ground than in the infield, outfielders are generally kept in equidistant positions, spreading risk. 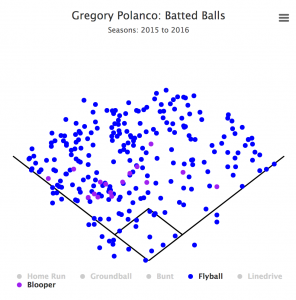 But the above alignment against the left-handed-hitting Gregory Polanco represented an extreme swing to the left. It appeared counterintuitive, too, with the Astros playing Polanco as if he were an extreme right-handed pull hitter. 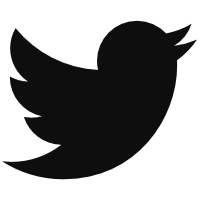 In this case, the left fielder was near the left-field line, the center fielder shading toward left center, and the right fielder nearly in right center. But the approach appears to be rooted in logic, too. While most ground balls are pulled, air balls are more evenly distributed, with batters often slightly favoring the opposite field. But if you eliminate line drives — they are the most difficult batted-ball type to catch, and infield shifts are designed to absorb some line drives — then you understand why the Astros are aligning their outfield so aggressively. 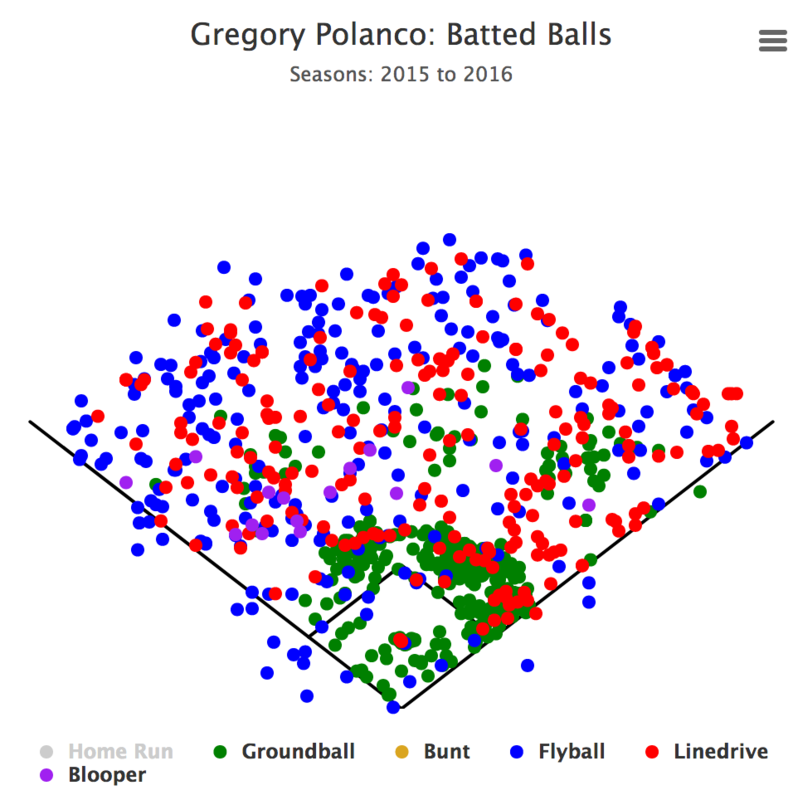 Note that Polanco most often hits fly balls, air balls with hang time, to left field. To get a sense of what this looks like from above, let’s consider the starting positions of Houston’s outfielders courtesy of Statcast data, via MLB.com’s Mike Petriello. Particularly in left field against left-handed hitters, we find some extreme starting positions. The Astros finished third in outfield Defensive Runs Saved last year (+33), trailing only the Royals (+45) and Red Sox (+41). What is quite conspicuous about those alignments is that, again, the Astros play most batters as having opposite-field tendencies. While a number of teams shade the other way, this author has observed that the Astros have been more aggressive in that regard. One reason why the Astros have been so aggressive is they have a willing manager in the open-minded A.J. Hinch, one of the younger managers in the game. Hinch said his mind is racing “at 100 mph.” He’s curious and seemingly willing to try nearly any creative approach that might yield added value. Hinch said he hasn’t been able to be quite as aggressive early this season with outfield alignment due to injuries, but he indicated he wants to be as aggressive — if not more aggressive — moving forward. How do Astros pitchers react to, say, the right fielder positioned smack-dab middle of the right-center gap with a left-handed hitter like Polanco batting? In his pre-game media briefing on Thursday, Hinch was asked about another radical outfield scheme that might not be too far away from becoming a regular alignment in baseball: the four-man outfield. It’s been used on rare occasions in the game, to date. But perhaps it is soon to become more common. Earlier this month, ESPN’s Buster Olney speculated that four-man outfields could become a common occurrence soon. Hinch cited Wednesday night’s game in Cleveland as an example of when a four-man outfield would have perhaps made sense to employ. The ideal hitter to field a four-man outfield against is a hitter with a pull-heavy ground-ball profile, and a hitter who more often lifts the ball than beats it into the infield turf. Hinch also believes he has two shortstop-caliber defenders on the left side of the infield in Carlos Correa and Alex Bregman, which could better allow for a more aggressive approach to outfield strategy. And the Astros brand is nothing if not tied to innovation and pushing the envelope. We hoped you liked reading The Astros Have an Outfield Shift by Travis Sawchik! Regarding Astros opposite field OF shifts for guys that spray fly and liners evenly, I think it is because infielders are playing so far back when shifted that they are taking away a lot of the shallow pulled liners/fly balls (i.e. less pulled liner/FB opportunities for OFs). On the flip side, with less IFs on away-side, OFs have more opportunities to catch shallow flies/liners away. Astros played shallowest in OF (or close to it) if I remember correctly from one of the tweets from Daren Willman last season. Willman had done some cool OF range maps a year or 2 ago for OFs. 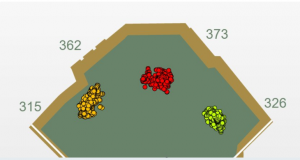 It would be cool to see range maps for OFs and IFs overlay-ed on the hitters spray chart.